Currently, the Fairways Golf Membership is sold out. But, new spots will be made available for you to join in September. To gain early access to the 2019 Fairways Golf Membership and guarantee your spot, you can sign-up for the Waiting List using the form above or by clicking here. Even better, you could be 1 of 3 lucky golfers to win a 2019 Fairways Golf Membership – a $249 value! When you join the 2019 Fairways Golf Membership, you will have access to absolutely Unlimited Golf from your date of joining through 12/31/2019. 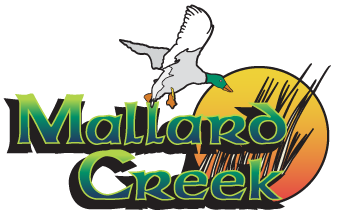 As a Fairways Member, you will be able to play all of the golf you want at Mallard Creek Golf Club (36-holes), Dragon Ranch Golf Club, Pine Brook Golf Links and Briarwood Golf Club. As a Fairways Golf Member, you will be able to play Unlimited Golf any day, anytime. That means your membership will be good to use on weekdays, weekends, holidays, etc. Unlimited Golf is great. Unlimited Golf without time restrictions is better! Whether you want to play 9, 18, 36 or more holes of golf in a day, you can! There is no limit to how much you can golf as a Fairways Member. While others may claim to offer Unlimited Golf, the Fairways Golf Membership is Ohio’s only true Unlimited Golf membership. In fact, members average 21 rounds on average each year. That is more than 4x the amount of golf non-members play on a yearly basis.